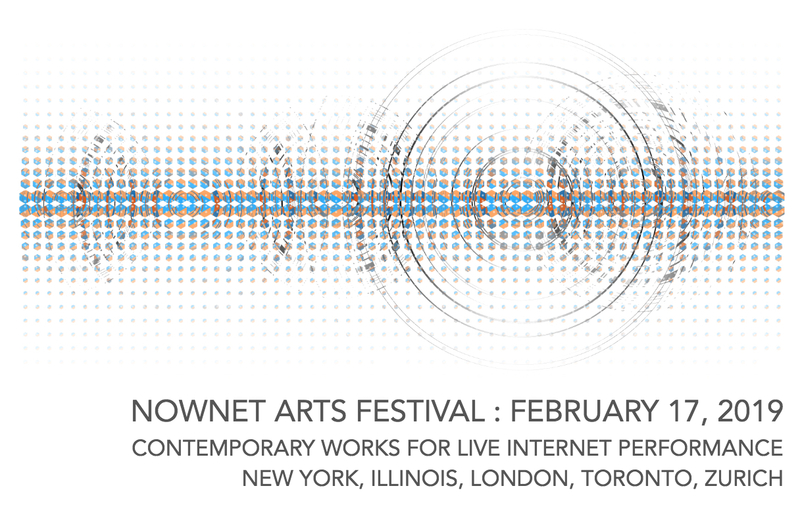 NowNet Arts Festival is an annual curated event featuring premieres of contemporary network arts works by multiple artists for the NowNet Arts Ensemble and collaborating groups. The works are performed live via the internet by artists in different geographic locations. “Composers Interviewing Composers” Live interview of NowNet Arts Festival Composers Mark Dresser, Ng Chor Guan, Denman Maroney, Sarah Weaver, Matthias Ziegler. Sarah Weaver, interviewer. Sponsored by Composers Now and Fund for the City of New York. "Universal Synchrony Music" by Sarah Weaver (New York) "Improvisation for Peace"